Half Moon Bay, California: An awe-inspiring showcase of 2,000 driving, flying, and working machines headlined by a Messerschmidtt-109 World War 2 German fighter, an F/A-18 Hornet fighter/bomber used by the U.S. military in the Iraqi War, and a remarkable exhibit of automobiles and motorcycles of every style and era highlight the Pacific Coast Dream Machines Show, Sunday, April 25, 2004 from 10 a.m. to 4 p.m. at Half Moon Bay Airport. More than 2,000 motorized mechanical marvels running the gamut from classic cars, U.S. Army tanks, and antique motorcycles to restored military aircraft, model-T fire engines, and plodding steam tractors will be spread out over hundreds of acres at the airport at this giant 14th annual show, which benefits the Coastside Adult Day Health Center in Half Moon Bay. 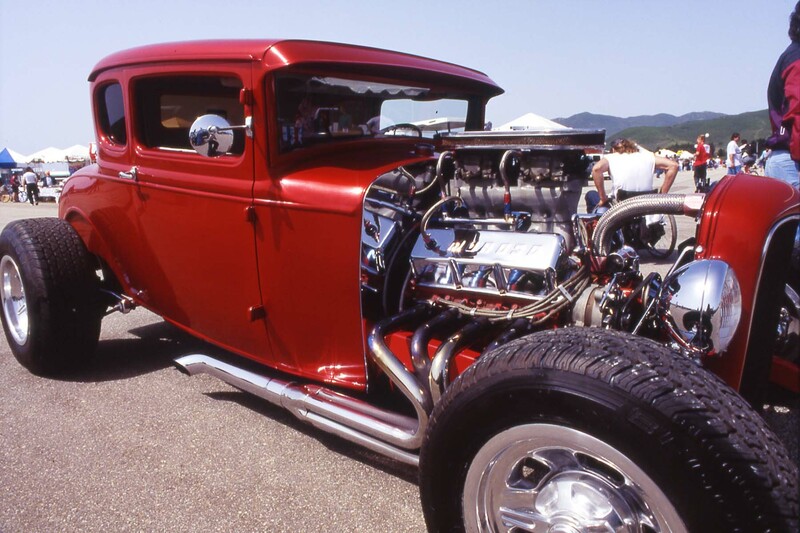 Automobile enthusiasts will get an up-close look at rare motor vehicles from every era since their invention. "From A to Z, we've got autophiles covered," said show organizer Bob Senz. "You'll see everything from Austin American roadsters to Lincoln Zephyr coupes and everything in between." The free-form nature of the show is one of its signature attractions. It's common to see an impeccable Packard right next to a well-worn Chevy Malibu or a spotless custom Ford coupe alongside a classic convertible Corvette. "For car lovers, the Dream Machines Show is a living history museum," said Senz. 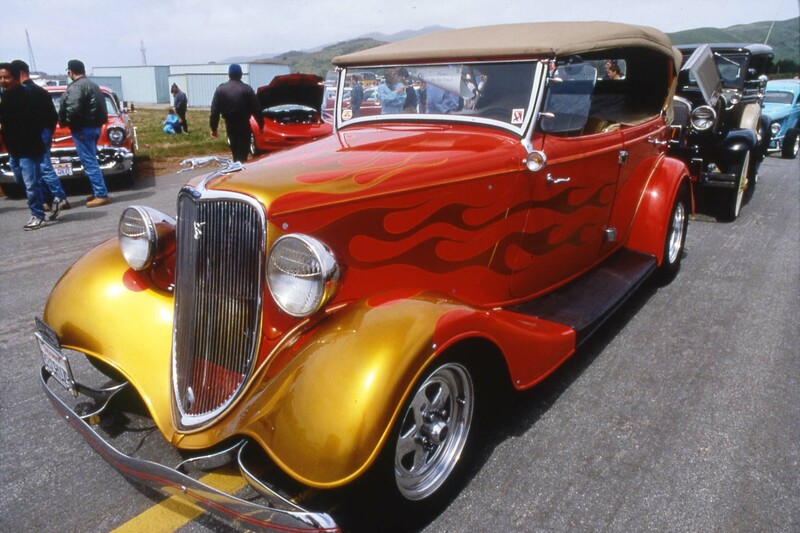 Antique, vintage and classic cars will include horseless carriages alongside fanciful touring, luxury, and sports cars. Custom street rods and muscle cars will flaunt their machismo and fabulous details. And an awesome collection of race cars will be displayed with a bone-chilling assortment of dragsters, funny cars, gassers, and jet cars firing up their engines. Hundreds of aviation wonders will be on display, ranging from stylish homebuilts and classics from the 40's and 50's to meticulously restored warbirds. Among the featured military aircraft will be a P-40 fighter plane (featuring it's famous Shark teeth design) used pre World War 2 and in World War 2, P-51 Mustang fighters, a TBM World War 2 fighter/bomber, F-4 World War 2 fighter, YAK Russian fighters, a Hawker Seafury World War 2 fighter, The Albatross, a huge 1930's era sea transport plane, T-6 and T-28 military trainers. Rides will also be available in a helicopter, Stearman and Waco bi-planes, and a Beech 18. Rides range from $30-$75.